Ever since I was a child I have had a passion for cooking and for nature. As I have grown up, my passion for cooking has shifted toward the study of the ingredients in the foods themselves and how they are linked to health. During my studies, I have understood that nutrition is not only connected with health and food, but also with economic, political and environmental aspects that are reaching greater global importance. During my six months working for Presence Switzerland at the Swiss Pavilion at the Expo 2015 in Milan, I collected data throughout surveys about dietary patterns of people from all over the world. “How to Feed the World While Considering Human Health” is the title of my bachelor thesis, by which I investigated the relation between environmental effects and food consumption. Thanks to my research I have understood that consumers lack awareness of what a sustainable diet is, as only a few know about the relationship between food consumption and its environmental impact (check out the double pyramid). With the desire to help preserve the resources of the planet, I have decided to contribute by spreading the message of sustainable diets. Indeed, one of the possible strategies to mitigate climate change and resources depletion is through dietary patterns. With this goal in mind, for my master thesis, I looked for a project that shared my intentions and I ended up with the project: “Forschung zum Aufessen. Hands-on learning for sustainability in agroecosystems”, an outreach program in collaboration with the World Food System Center and the Sustainable Agroecosystems Group of ETHZ. The program aims to help teenagers to better understand their role as consumers and food system actors. My overall goal was to make young consumer more familiar with the relationship between climate change and food consumption. During the first three days working on the project, I realized that students are more willing to learn when they can actively experience the learning knowledge. I investigated what the methods are to learn in an enjoyable and fun way and I came up with gamification. The gamification process consisted of the development and evaluation of five prototypes, which allowed the promotion of a final prototype competent to achieve the goal of the project. The general game idea is buying ingredients to prepare the environmentally friendliest burger. The game is played in the form of a debate. The players play in three diverse roles: as consumers, as producers and as the environment. 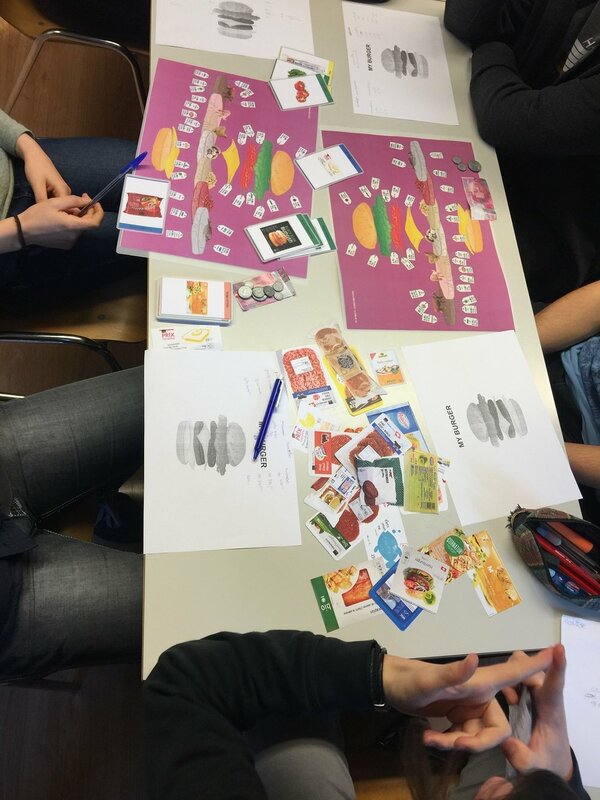 Each player has a personal role sheet: on the consumer’s sheet, the information is the ingredient’s price, the quantity, the cost per kg, the country of origin and the food labels; the producer's sheet displays: the ingredient’s profit, the profit per kg of ingredient (10% of the sale price), the country of origin and the food labels. A well-established method to analyze the environmental impacts of products is the life cycle assessment (LCA). Within this tool, a variety of different methods can be applied. Since my interest was in the relationship between food consumption and GHG emission, the carbon footprint (CF), expressed in terms of carbon dioxide equivalent emissions (kg CO2eq), was chosen (learn more about the CF here). The environment’s sheet contained information about the county of origin of the ingredients, the food label and – most importantly – the carbon footprint values for the production, processing and transport stages. The game-debate begins with the purchase of the ingredients by the consumer. He/she has to buy bread, tomatoes, lettuce, cheese and a patty, for making a personal burger, according to his/her nutritional goals and budget. At the same time, the producer and the environment must convince the consumer, with their own motivations, to let the consumers buy what they want. The producer has the most expensive ingredients, since they should allow him to make the most profit. Those food products are generally organic, local and animal based. While the environment’s ingredients are those with the lowest CF, so organic, local and plant based. What happens is that for the local and organic products the two players agree, while for the food category they will go against each other. The idea on which the game is based is that the students acknowledge what are environmentally friendlier diets by the means of the motivations used by the different players. The game was played in several high school classes in Ticino and results showed that the intervention was successful in significantly increasing knowledge. 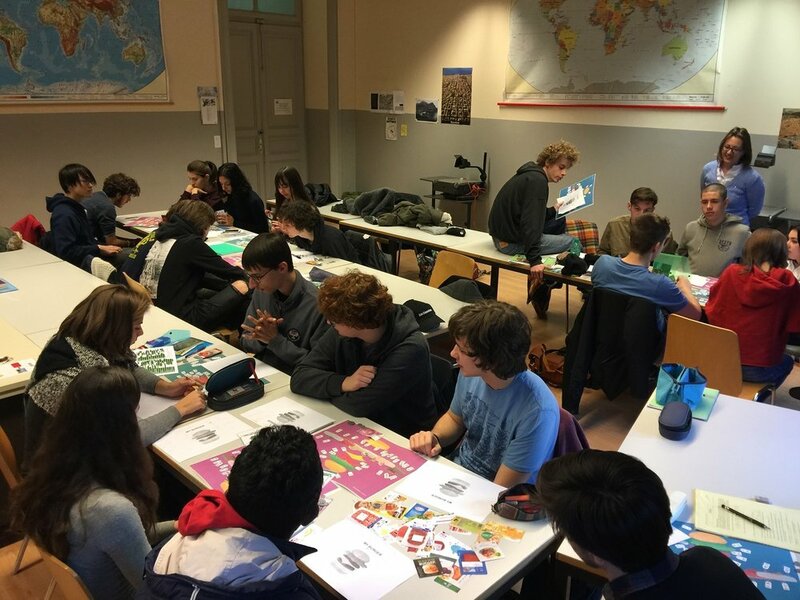 The success of the game was confirmed by the teachers, who want to propose the game as a fixed activity for their lessons related to the theme of climate change. This research project allowed me to discover and combine scientific subjects with graphic, artistic and psychological aspects. In addition, I also had the opportunity to experience what it means to "teach" in a classroom and manage hyperactive students. This was one of the most challenging and at the same time satisfying aspects for me. I understood that in the future I would like to work in the teaching field. Despite of my personal success in developing a valid tool, I recognize that the raise of awareness does not necessary correspond to a change in eating habits. For this reason, I would like to continue to work on promoting the topic of the sustainable food choices and to figure out ways to convince consumers of all ages to have more sustainable diets. 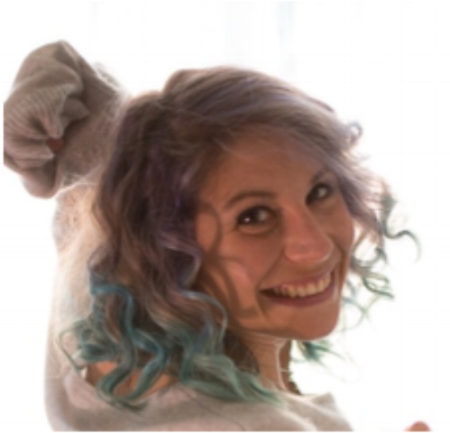 Luna's master thesis "Raising Awareness of Sustainable Food Choices: Development and Evaluation of a Game for Young Consumers"
Luna Urio is a 27-year-old WFSC summer school alumna from Ticino, the Italian speaking part of Switzerland. She has recently finished her master degree in Food Science at ETH Zurich. Beside her studies, Luna teaches yoga and in her free time enjoys nature as much as possible.